HomeResourcesShould My LinkedIn Profile Be the Same as My Resume? It’s a lot of work to create a resume. It’s a lot of work to create multiple resumes focused on different strengths and different job opportunities. And it’s a lot of work to create your LinkedIn profile and then keep it up-to-date. It is certainly tempting to take what you’ve already written for your resume and copy and paste it into the proper fields on LinkedIn. While this can be an option just to make sure that you have a LinkedIn profile, it is not the best long-term solution for effectively using the platform. Copying and pasting your resume can also make you look lazy. If a potential employer sees that you just copied and pasted your resume into your LinkedIn profile, they will probably also assume that you’ve just copied and pasted the same resume (and probably cover letter) to dozens of other companies as well. LinkedIn can, and should, be used to create a permanent place on the web where recruiters can find you and be impressed by you, and where potential employers can find more information than you’ve included on your resume. So how do you differentiate your resume and your LinkedIn profile? A resume should not be the length of a novel. It should be tailored to highlight the positions, skills, and accomplishments that are most relevant to the job you are applying for with that particular resume. For those who have a lengthy and accomplished career behind them, this can be difficult to achieve. That’s where LinkedIn can step in. You can bet that in this technological, social age of the 21st century in which we live, the hiring manager that you are applying to will be doing an internet search of your name. Even if they don’t do a broad internet search, they will likely at least check LinkedIn. You can also point them to your LinkedIn profile by including the URL for it at the top of your resume with your email. To take advantage of the ease of access of LinkedIn, list out all of the jobs you have held. Not necessarily flipping burgers at McDonald’s in the ‘80s—unless of course you rose to become manager and are still working in the hospitality industry—but all those jobs that helped you move up the ladder, grew your network and your skill set, and yet still had to leave off your resume. There is no page numbering on LinkedIn, and a potential employer can stay on the site as long as they want to read about what a wonderful asset you’d be to their company. Take the time to make sure your LinkedIn profile is complete. Doing so is like having a second resume that speaks highly of you. You never know which of your “extra” skills or certifications might catch an employer’s eye, and with the limited space of a resume it can be hard to find room to include them when you are trying to fit in your career accomplishments first. Even if the resume that you’ve prepared doesn’t mention that you’re a Notary Public, or that you speak Spanish, put this information in your LinkedIn profile. Get people to recommend you for skills like writing, social media, and sales. This isn’t just for fun and to stroke your ego—having more than 5 skills listed makes you 33 times more likely to be contacted via the site. When a hiring manager looks at your resume, then opts to take the time to look you up online, they are interested in you as a candidate. But chances are you’re not the only candidate they are looking at. If they look at your LinkedIn profile and see nothing different from what’s on your resume, what’s setting you apart? Nothing. On the other hand, having an additional skill or two listed could catch their eye and be the asset you didn’t know the company needed. What About the Job Descriptions? It might be easy to just copy and paste what you wrote for your job duties and accomplishments into each corresponding section on LinkedIn, but it’s really not helpful. It’s better than nothing, sure, but it doesn’t add much to your potential for being sought after. Use the large amount of space you have on LinkedIn to really fill in the gaps. Describe projects in more detail, share more accomplishments, and really be descriptive about your responsibilities. You also need to take advantage of the opportunity to add media and profile pieces with each job. If you have a presentation you’re particularly proud of, put it up there! (Just make sure any confidential numbers are removed first.) Did you write a press release that got covered on the front page of a major paper? Put it up there! Don’t just tell what you’ve done for work, show it. LinkedIn has 546 million active users across the globe. That’s over a billion eyes that might take a look at your profile. You never know who might see it. In the U.S. alone, 20,000 companies use the site to recruit. 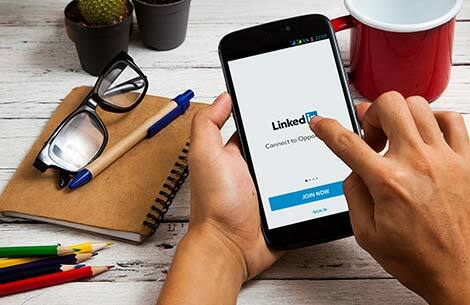 There’s no question about it, if you are actively looking for a new job or looking to advance your career, you need a comprehensive and effective LinkedIn profile. Just copying your resume word for word isn’t going to cut it. We are all too busy, and we’re all looking for ways to save time where we can. If you’re career-minded, though, your LinkedIn profile isn’t the place to do it. Think about it, you have the opportunity to share the full breadth of your experience—for free—with literally millions of professionals who work at thousands of companies. Don’t cut corners. Your LinkedIn profile offers you the opportunity to showcase yourself and your career without many limitations. It lets you show off your best work, compile as many references as you’d like, and put it all out there for the world to see. While a resume should be carefully crafted and carefully targeted, a LinkedIn profile has the flexibility to provide more information. Consider your goals, consider what you’re proudest of, and use your LinkedIn profile to shout it from the rooftops to potential employers. Are you tired of your resume being rejected by applicant tracking systems? I know how frustrating it is to submit your resume and receive no response. I hate seeing qualified people never breakthrough the screening process. It shouldn’t be that way.